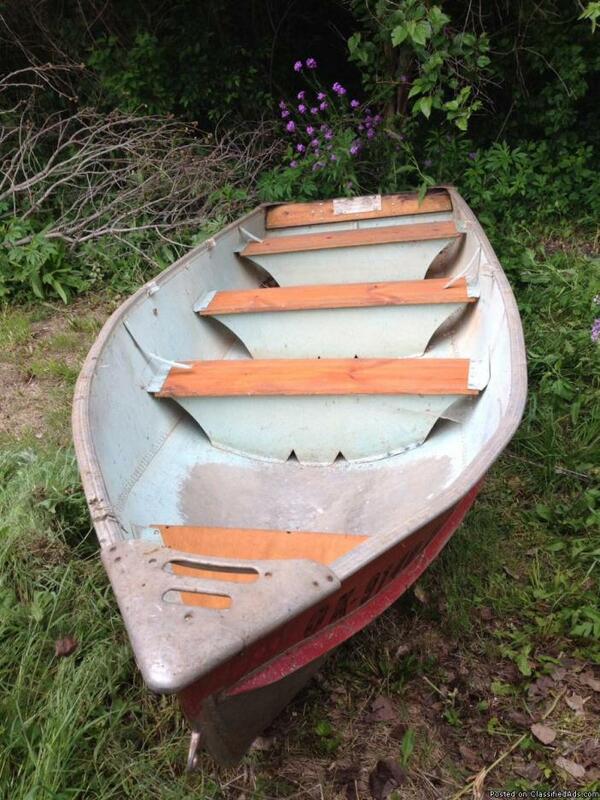 This is a wonderful fishing boat. Garage kept. Low hours on the motor and boat.Aluminum Trailer only a few years old with spare tire. older aluminum starcraft that is in very good condition. 14 ft aluminum fishing boat with trailor, motor, extra prop, 6 horse power at prop, gas tank, spare tire, manual and papers on the motor, 2001 mercury motor, runs well I'm selling it because I bought a bigger boat Please CALL if your seriously interested @ 1-920-394-9341 or 1-262-719-0496 and leave me a message if I don't pick up. I'm old fashioned, so I prefer you call me verses texting.Thanks! 14 foot aluminum boat with trailor, motor, extra prop, spare tire, gas tank, manual and papers on the motor, 6 horse power at prop, 2001 mercury motor, runs well I'm selling it because I bought a bigger boat Please CALL if your seriously interested: @ 1-920-394-9341 or 1-262-719-0496 and leave me a message if I don't pick up. I'm old fashioned, so I prefer you call me verses texting.Thanks! 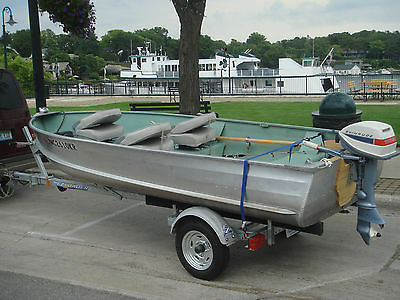 14 Ft Aluminum bass boat, two swivel seats. 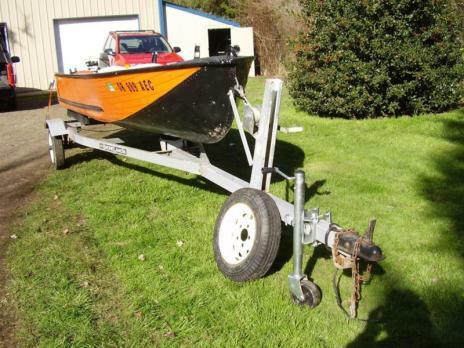 2004 Mercury 2 stroke outboard motor, low hrs Minn Kota 36 lb thrust trollng motor. Ten Nee Trailer, Garmin Fishfinder 160 Located near Havre de Grace, MD. 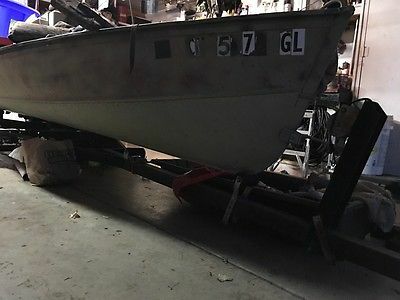 1958 Richline v bottom fishing boat, clean titles in hand for boat and motor.18 horse Johnson motor, with a fresh card rebuild. Ready for the water! 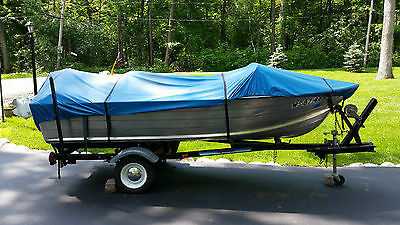 14 ft.Aluminum Lund Outboard Fishing Boat Year 1985. Good restored condition comes with trailer and many extras. 1. Shoreland Trailer2. New Tires & Rims + Spare tire3. Bearing Buddies4. New Wheel Bearings & Seals (inner & outer)5. Spare tire mount and Lock(Engine) 2013 2 Motors Included1. 12 Volt Electric Motor2. 20hp 4-Stroke Yamaha Motor (gas) Excellent Condition (only 2 Hrs Run Time)3. 2 Fuel Tanks 3 gal and a 6 gal4. 2 Batteries 1 for the electric and 1 for the outboard motor5. 1 Set Of Deluxe Wooden Oars & Oar Locks6. Engine Storage Stand7. Pro Duel Feed engine Flusher8. Extension Handle 9. 2 Adult PFD (life jackets)10. 1 Anchor & Line All In All Great Deal... Local Pick Up Only!!!!!! 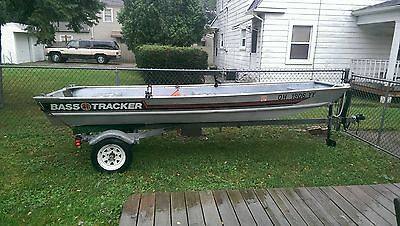 14 ft flat bottom aluminum boat with McClain trailor ! 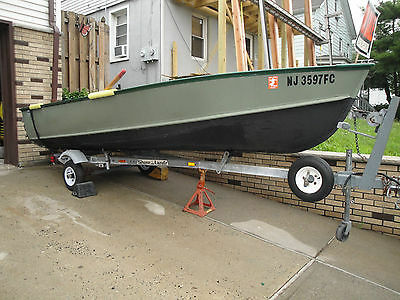 Boat is hunter green with indoor / outdoor carpet laid thru out all inside of boat ! Also 2 cushioned swivel seats ! Boat looks brand new ! 2 pattles also will throw in a motor guide trolling motor ! 32 lb thrust & big marine battery for $400 or OBO ! Great for fishing lakes , ponds etc !